"Surviving"– a short documentary by Téa Santos (12)– captures and reflects on their own personal experiences with childhood medical issues and living with mental illnesses. The fourteen-minute documentary took two months to be filmed and assembled and was awarded "Best Documentary Film" by the Youth Documentary Academy (YDA). The film was also shown in Times Square, NYC this October. 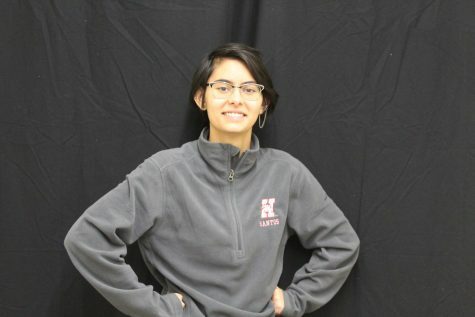 Showing talent in photography and film, Santos was pushed by Wendy Harms- the MSHS drama teacher– to try and join YDA’s summer camp. The first year they were not accepted but the following summer they were. While there, they learned interview skills, video editing, and got to try out expensive filming equipment. The program only lasted for two months and student's films were shown after the program ended. “Youth Documentary Academy is a local program in the Springs and every summer it's a class of about twelve students. Over the summer they make their own documentary,” said Santos. Some of the students worked in groups, but since Santos planned to do a more personal topic they worked the film mostly by themselves. They only spent two days interviewing. First, they interviewed their mother, then their father, then both of their parents together. The next day they spent interviewing their-self which took about two hours. The editing and transcribing was the most time-consuming part of the project. “Transcribing was rough. I had to highlight want I wanted and had to find that in the footage,” said Santos. Faced with several difficulties, Santos learned the struggles of environmental changes, tech problems and not knowing what the interviews were going to say. Such as losing power in their only editing room. “You have to have a lot of patience for both filming and the editing. For filming, conditions can change such as the lighting and the weather as well. Also, you don’t know what your subject is going to say. You can try to predict and conduct it, but you can never force them to say something they don’t believe in,” said Santos. Due to the more personal message this film addresses, the documentary has reached out to others to share their story and helps fight the negative stereotypes associated with mental illnesses. At first, Santos thought creating the film would be more therapeutic for them. Although they didn’t find much closure, it was an enlightening experience because people would come up after the film and share their stories. “I do think it’s powerful because it talks about mental illnesses and the actual struggles of it rather than how tv portrays it. Sometimes it’s accurate and sometimes it’s not, and some parts of the media give huge misconceptions on mental illnesses. A lot of people struggle with mental illnesses and I think it’s powerful to let people know it’s not just something that makes you crazy,” said Santos.